Loot Crate is making millions by appealing to our inner geek. Every month the Los Angeles-based company ships out 600,000 boxes of assorted fandom -- from Dead Pool figurines to Bill and Ted T-shirts -- across 35 countries. 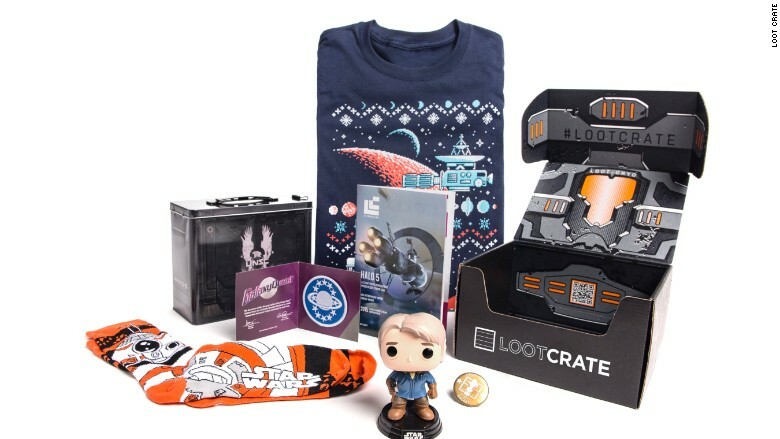 It's a formula that clearly is working: Loot Crate is valued at $116 million. "The first real vision of the product was: How do we capture Comic Con in a box," explains Chris Davis, Loot Crate's co-founder. Davis says that even in the first month, he and his partner, Matthew Arevalo, realized they were on to something big. They received 250 orders at their 2012 launch -- a number they have seen rise 20% every month from the very beginning. "There was a lot of excitement and demand, even before we shipped our first product," Davis recalls. Today, the offerings have expanded to 12 product lines that cater to specific fan bases, such as anime, or Halo lovers. Since exclusive items are a key selling point for Loot Crate, one of the most challenging aspects of the business model early on was finding great products. They built their base of suppliers and now, says Davis, "work with most of the major entertainment brands and a lot of licensors and manufacturers." Also, an in-house team has started crafting its own content, including Loot Crate-produced video games, comic books and videos. "We think of ourselves as delivering this great fan experience subscription," Davis explains. Meanwhile, the company aims to build platforms for communities "based on what they're passionate about," says Davis. Indeed, its Facebook Live videos garner a half-million viewers each month. What to put in each box? Loot Crate's product development team, procurement and buying team meet multiple times a day to weigh the best options. 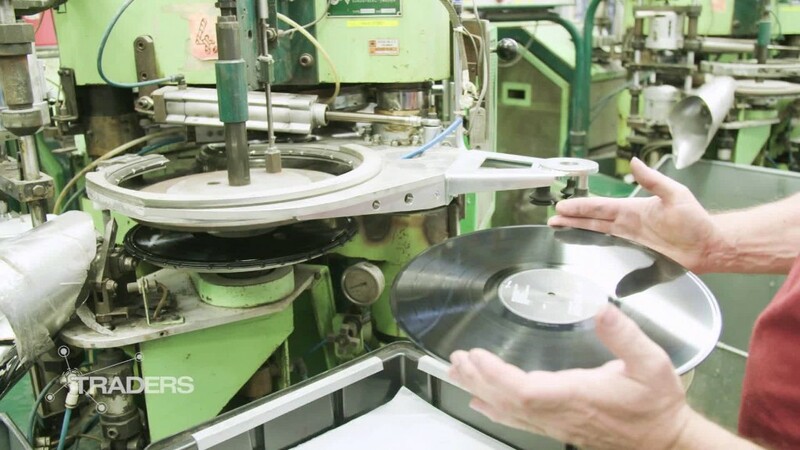 The six- to nine-month lead time takes into account new releases. "The debates can get kind of ridiculous, like, 'Do we do Captain America this month or Tony Stark?' " says Davis. As Loot Crate has grown, it's needed to figure out how to smooth out distribution. "Distributing a physical product comes with a whole lot of operational challenges," notes Davis. "We do all our own fulfillment, so we've really had to scale that process up." Where once Loot Crate had five full-time staff members, who each helped to ship an average of 240 boxes per day, the company now employs 240 full-time staff and 300 part time, and sends out 70,000 boxes across 32 countries. The company started its international roll-out in English-speaking countries, including Australia, Canada and the United Kingdom (currently its second-largest market) before venturing into the rest of Europe. Davis says it has only just started pushing into Asia and South America, and that he's found there hasn't been much need to alter the product for different markets. "We've been pleasantly surprised," he says. "Globally, we do consume a lot of the same pop culture." Loot Crate plans to localize some of its offerings in the future, but for now Davis says they're more focused on getting the language and logistics right. "It has been a really interesting scaling challenge," he says. The secret to success = paranoia? In addition to creating more custom content, and introducing Loot Crate to more markets, the company is expanding with more partnerships. It recently joined with WWE to create a customized box for wrestling fans. 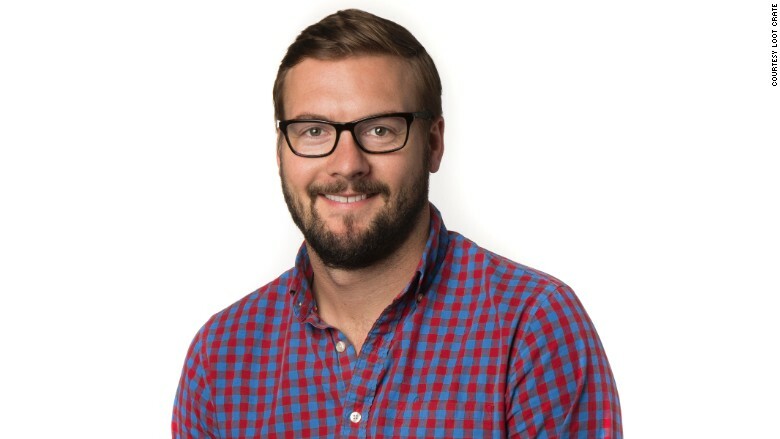 "We are always skeptical of our success continuing, and we keep being paranoid and reinvesting in a really great customer experience.